Challenge yourself with an interval workout on the elliptical machine. 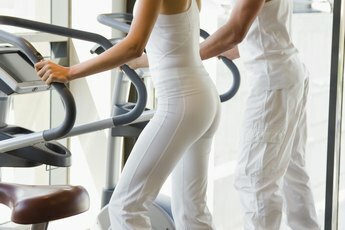 The elliptical is one of the most common pieces of equipment found in gyms everywhere. Unfortunately, many people cruise through their workout at the same resistance and speed, not taking advantage of what this machine can offer. You can use the elliptical machine to its fullest, engaging in challenging interval workouts by systematically changing your speed and resistance as well as utilizing heart rate zones. First, choose your elliptical. Ideally, your machine will allow changes in resistance. 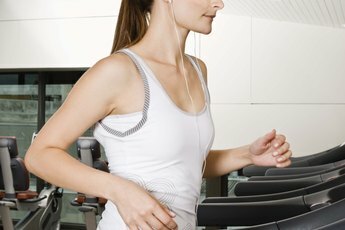 A few good models include Precor and LifeFitness. Ensure that you know how to adjust the resistance on the machine, as well as view the stride rate data on the machine’s information display. 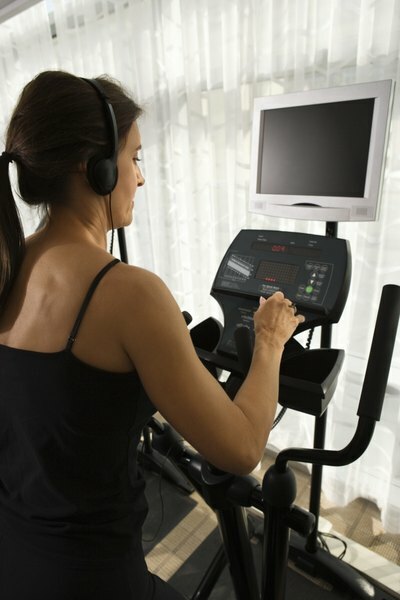 Before your workout, warm-up on the machine at an easy to moderate pace for five to ten minutes. To create a challenging workout for yourself, you will need to determine an easy and intense stride rate for yourself, or an easy and intense resistance level. To determine the stride rate variables, watch the stride rate data as you ride slowly on the elliptical; mentally note this number as your easy level. 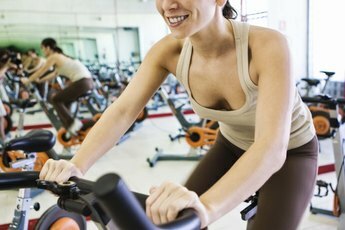 Then ride the elliptical nearly as fast as you can, subtract 20, and remember this as your intense level. The same can be done with resistance levels by choosing a low resistance for your easy level, and level that is very tiring for your legs as the intense level. With your workout variables determined, you now have to do the workout! Choose a time interval, 30 seconds in this example, and begin to alternate an easy 30 seconds with an intense 30 seconds. You choose whether you want to alternate speed or resistance; in this example, we will use speed. After a ten-minute warm-up, ride at your intense stride rate number for 30 second, then your easy stride rate number for 30 seconds. Continue to alternate for the remainder of the workout, usually anywhere between 10 and 30 minutes. Cool down for five minutes. Another way to measure workout intensity is to use heart rate zones. First, you need to do some math. Subtract your age from 220, which is your maximal heart rate. Multiply this number by 50 percent and by 80 percent. These two numbers will mark your easy and intense heart rate zones, respectively. With these numbers in mind, utilize the heart rate handles on the elliptical to guide your workout. When you are in your intense interval, use a speed or resistance that gets your heart rate up to the intense 80 percent heart rate. 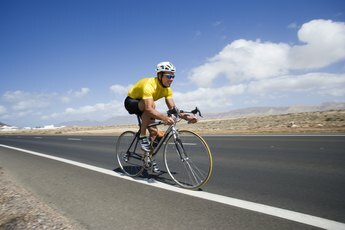 When in the easy interval, use a speed or resistance that gets your heart rate near or below the 50 percent heart rate.